Among other things, my brother Dan is a high school soccer coach for a group of young men at Bishop LeBlond High School in St. Joseph, Missouri. And if you’re wondering why St. Joseph, Missouri sounds familiar, it’s because that’s where the Pony Express started in April of 1860. 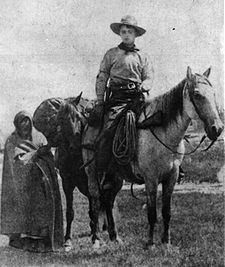 I often think of the oath taken by the young men who rode for the Pony Express and the impact it must have had on their life and the lives of those who entrusted them with their most private thoughts. At the same time, it saddens me to think that a mere 150 years later, many employees don’t hold themselves to the same standards as did those who rode for the Pony Express. Imagine living in a community where every employee and elected official took an oath stating that they will be “faithful to their duties and direct all of their acts to win the confidence of their employer.” Where has that work ethic gone? Why is it that so many young people entering the workforce feel they are entitled to a job and that showing up to work and actually working is an option? Is this the work ethic that we baby boomers are responsible for teaching our children? As I mentioned earlier, my brother Dan is the soccer coach for a group of boys in St. Joseph, Missouri. He has a passion for the sport and he still plays competitively at 50 years old. Soccer is his passion, but teaching is his gift. We Were Like Brothers. Wait, We Are Brothers! 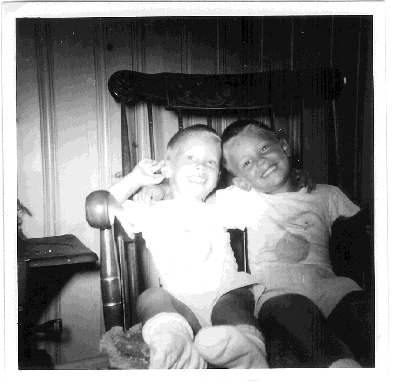 Dan and I were very close when we were children. I was one year older and he was five years wiser. Life has taken us in different directions. He lives in St. Joseph with his family, and I live 4,000 miles away in Hawaii with mine. So when we have an opportunity to talk on the phone, I cherish every minute. Coach Dan Sommers is teaching these young men how to become the next generation of proud riders for the Pony Express. Or, maybe he’s teaching them how to ride for Apple or General Electric or Google or fill in the blank. He’s instilling a skill they will benefit from for the rest of their lives and he’s disguising it as soccer practice. Genius! I love you Dan. You’re my inspiration! Bob–Loved it!! What a great (and sweet) article–PS did you realize that the Pony Express is celebrating its 150th anniversary. It is a big deal in St. Joe and the theme for the school year for George–our youngest. I thought of you when his teacher sent his back to school letter and she began the letter with “Howdy Partner”!! Hope Josh is doing better…and that you all have stayed healthy yourselves. These are the kinds of lessons which often sound silly to those who are first learning them — but the wisdom contained far outlasts the situation where it was imparted.